The Girl with the Dragon Tattoo | i.am.sophus. For the last couple of years, it’s been Game of Thrones, The Hunger Games and (heaven-forbid) Fifty Shades of Grey (and yes, I have read all three of the books, but that’s an exposition in itself). Before that, it was Steig Larsson’s The Girl with the Dragon Tattoo, and Twilight. Looking back at this list thus far, I realise that have read them all, bar Twilight (NB Twilight has been recommended to me as a great trashy read, but after only managing to stomach watching half of the overly teenage-angst-ridden movie, I have no impetus to read it – perhaps a classic example of should have read the book first. No offence to Twilight fans intended, I know that my younger self would have been relishing the world that Stephanie Meyer created). Before Twilight, there was Harry Potter. ‘nuff said. But this is just the thing. The entire book and film market has become hugely fad-led. One big thing that turns the tides of commissioning for all the publishing houses. Who in 2005 would have understood an entire section of a bookstore being dedicated to Paranormal Romance? But there we go. Yes, to a degree, the market has always gone in the direction of the big thing. The children’s market sees it a lot: one year it’s aliens, the next it’s cowboys, the next it’s dinosaurs, who can keep up? Maybe it’s just me, but I really don’t feel that the adult market had this sort of tunnel vision until the last decade or so (man, that makes me feel old). Not that there is anything inherently wrong with these books as fads. 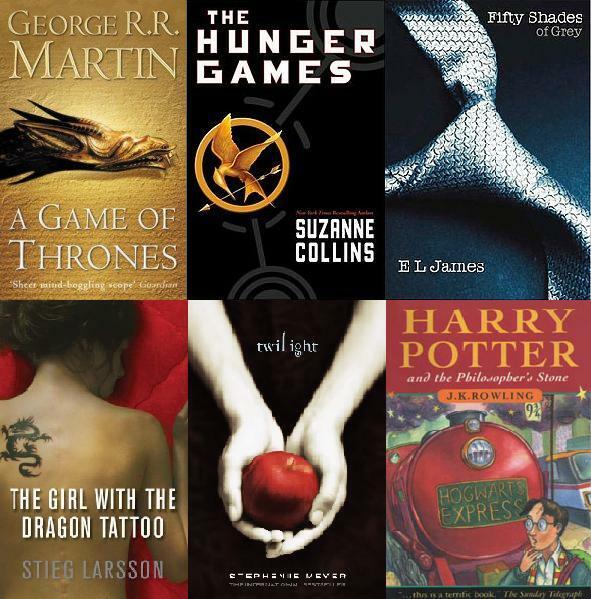 Some of them are brilliant works of literature, as well as being thoroughly entertaining. It’s just that it makes the market more volatile, and tending towards a singlular pursuit for a given time. Which basically means that if you are not of the correct trope, you’re unlikely to be published, and if you are of the correct trope, you’d better get busy finishing off that novel (my personal debilitating issue). The particular reason it worries me is the fact that fairy tales are hot right now. Really hot. Look at the movies that are out: Snow White and the Huntsman (2012) and Red Riding Hood (2011) (as well as the upcoming Hansel & Gretel: Witch Hunters (2013), which looks dire btw), and much more prominently the TV series Grimm and Once Upon a Time. Granted, except for Once Upon A Time, none of these has made a huge splash, but they are indicator of the fas. I really enjoy watching Once Upon a Time and recommend it highly, but it does hugely dilute my material. It is pretty much a parallel of the work I’ve had in the pipeline for years. Yes, true, there’s no such thing as an original story, and far less so when you are rewriting existing works. The worry is still there though. I have to get my arse in gear, finish and publish my book Four and Twenty Blackbirds in time to latch onto this window, because it may be a decade or more before it comes around again. My only saving grace (thus far) is that I have not yet come across a new fairy tale-esk novel of note. But it’s only a matter of time. More application of arse to seat and pen to paper is required, methinks.